Music & technology company XITE launched the first personalized music television channel in the world today. 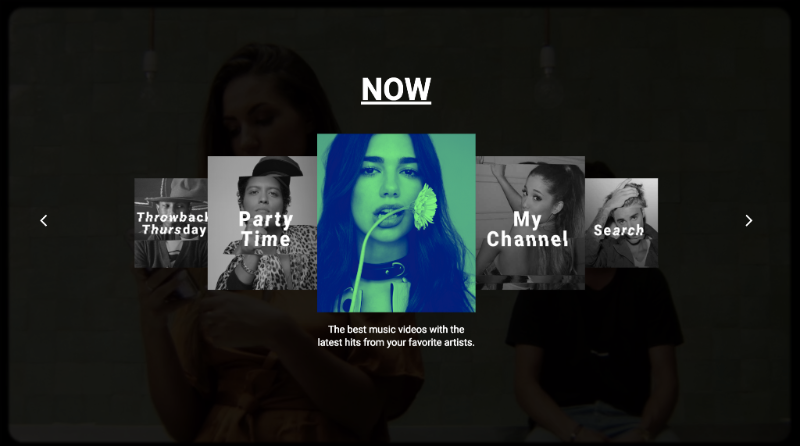 The company’s Personalized Music Television service, which allows users to skip and like videos in curated channels, create their own music video channel, or search the company's catalog of on-demand official music videos, has been integrated with the linear TV channel through Dutch operator Ziggo. This means users immediately have access to the service when they tune in to the XITE channel, without having to search and launch it from the operator's app store. This makes XITE the first provider in the world to combine music, technology and television in a way that bridges the gap between traditional television viewing and a digital, on-demand personalized experience. XITE released the Personalized Music Television service at the end of 2015 as an application through Dutch provider Ziggo. User interactivity informs the company's mix of music curation and algorithms to create an experience that is individual to each user's preferences. Users can search for videos, create their own music video channel or watch curated channels (such as ‘Party Time’ and ‘Sunday Chill’) and like and/or skip videos so that the application can better respond to the user’s preferences. Starting today, the current linear channel is replaced by this application; a revolutionary development in the current TV landscape. The launch of the personalized channel is an innovative and groundbreaking step that offers a future for linear television by combining the best features of TV and the Internet. Viewers become users, which will change the TV landscape as we know it. Operators are excited to include our product in their portfolio. XITE's Personalized Music Television service is seen as the means to retain millennials in the eco system of traditional operators.